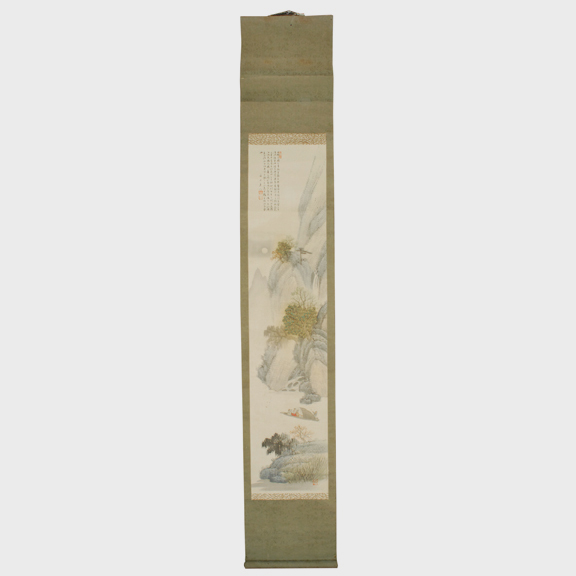 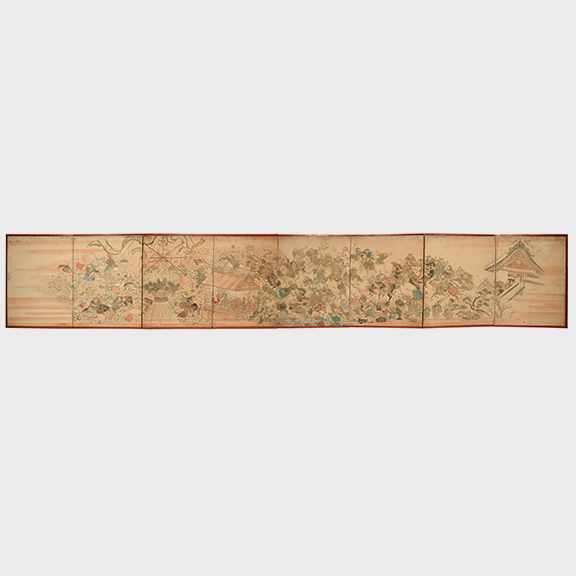 W: 81.5" D: 0.75" H: 65.25"
The term byobu means “wind wall” and as the name suggests, painted folding screens such as this were originally used in Japanese homes to block drafts of air. 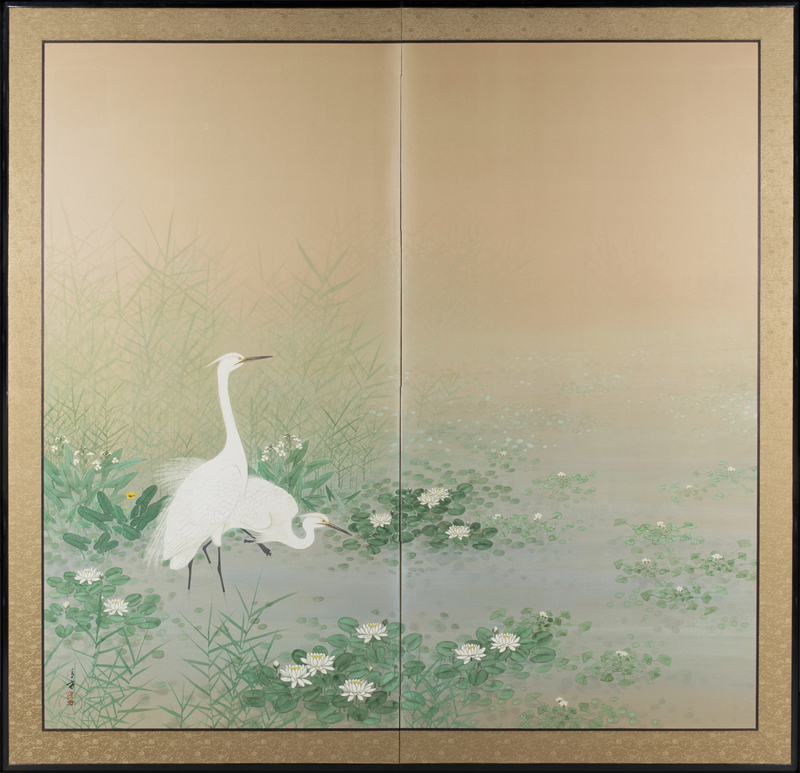 The oldest screens date back to the 9th century, but over the years the designs developed and became less functional and moved towards the purely artistic. 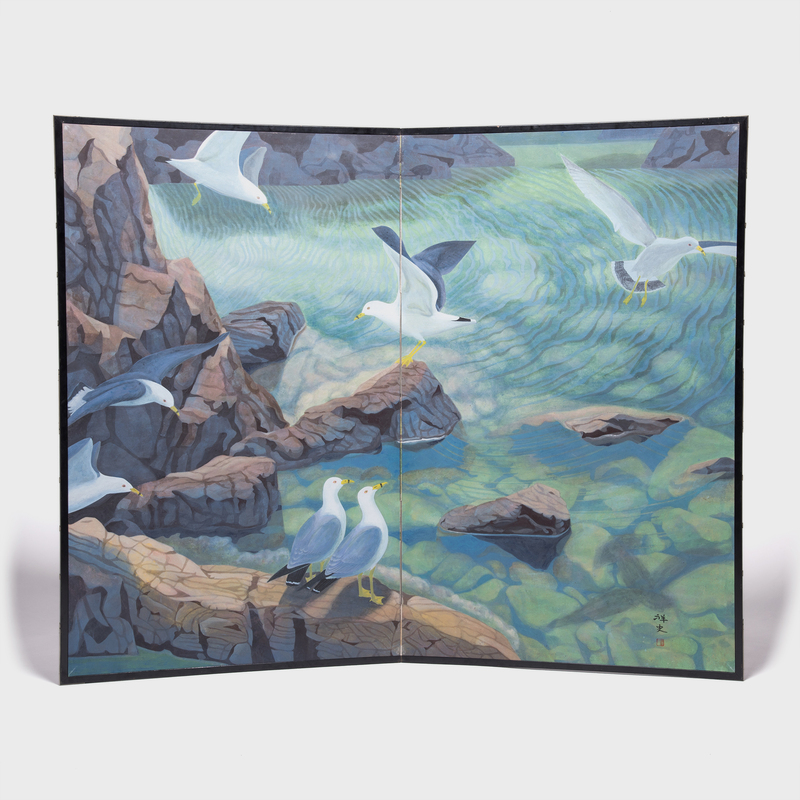 Waters Edge was painted in the 1970s and beautifully combines this ancient craft with the artist’s personal style and modern aesthetic. Signed.